Although I have recently been wearing my winter jacket in London (not cool), Summer is most certainly here! The days are longer and colorful Summery cocktails are on my mind. I recently came across this drink called “Aviation”. 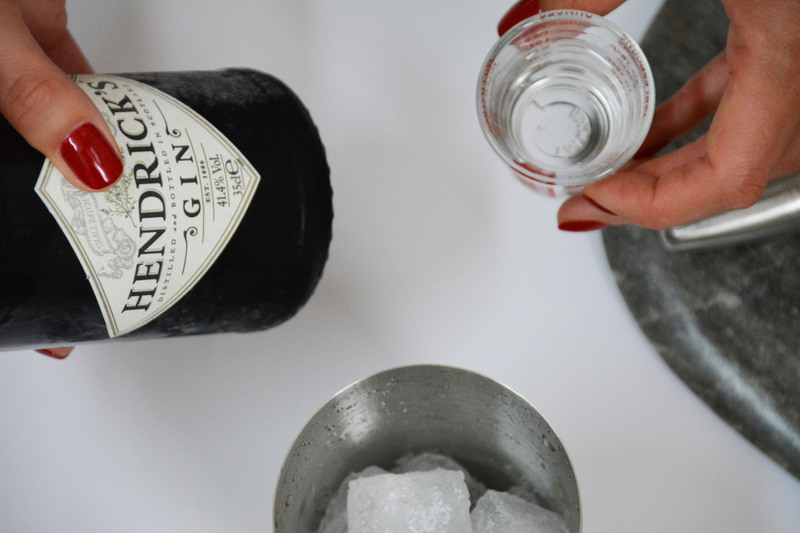 It is a retro gin based cocktail (first created in the 1930’s). 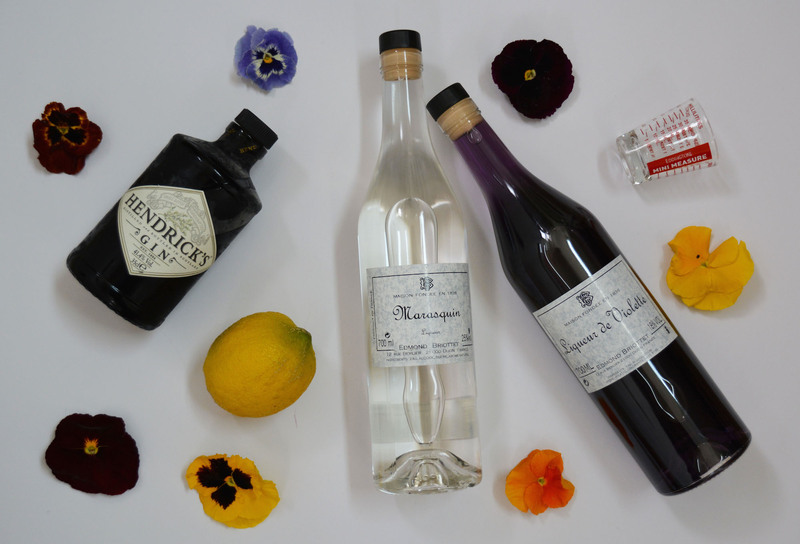 It includes delicious ingredients like Crème de Violette and Maraschino liqueur (both are rare). 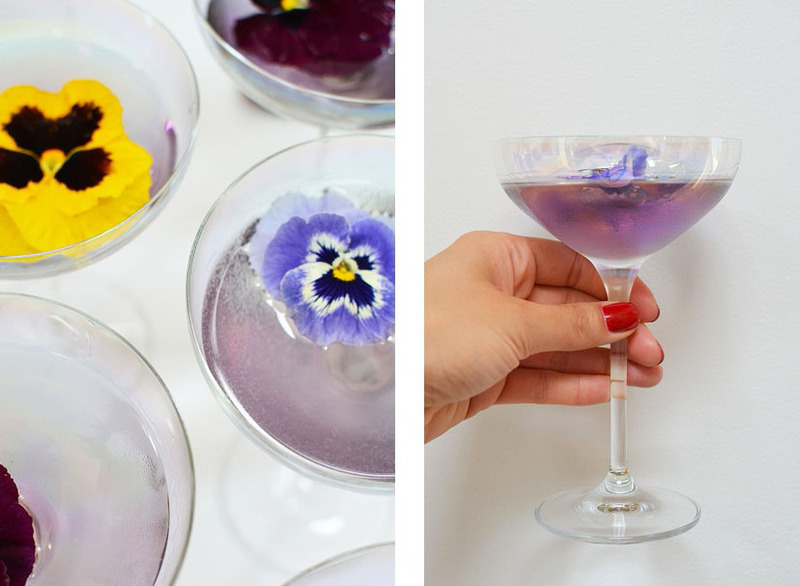 The final look of this drink is a beautiful shade of lavender and after you top it off with an edible flower garnish, the drink is just too gorgeous to resist. This is a perfect cocktail for a Summer party at home with friends and I assure you everyone will love the style and look of these retro inspired drinks with a twist. 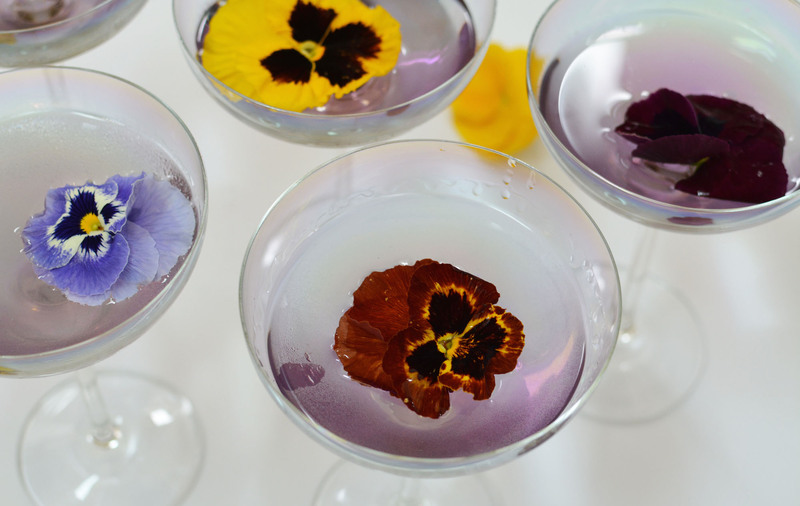 The ingredients include: Gin, Lemon Juice, Crème de Violette, Maraschino Liqueur and Edible Flowers for garnish. 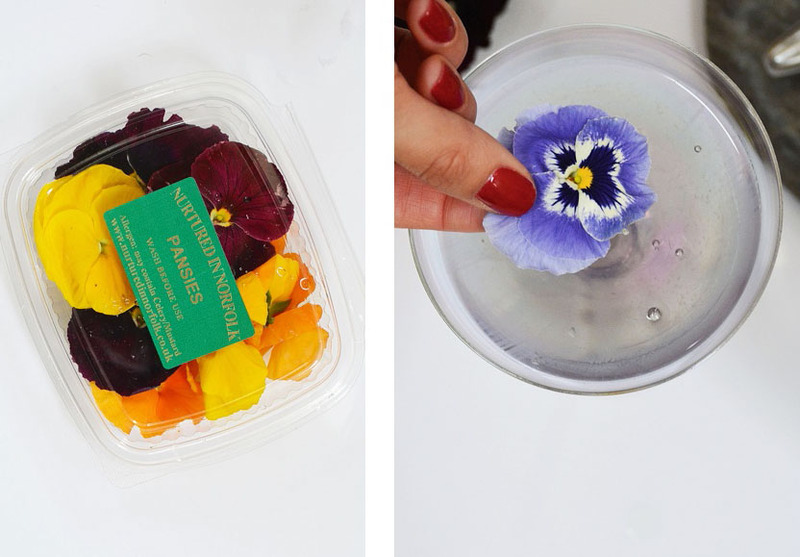 I purchased my edible flowers (which were Pansies) from Whole Foods Market. I used my new LSA champagne glasses for these cocktails. 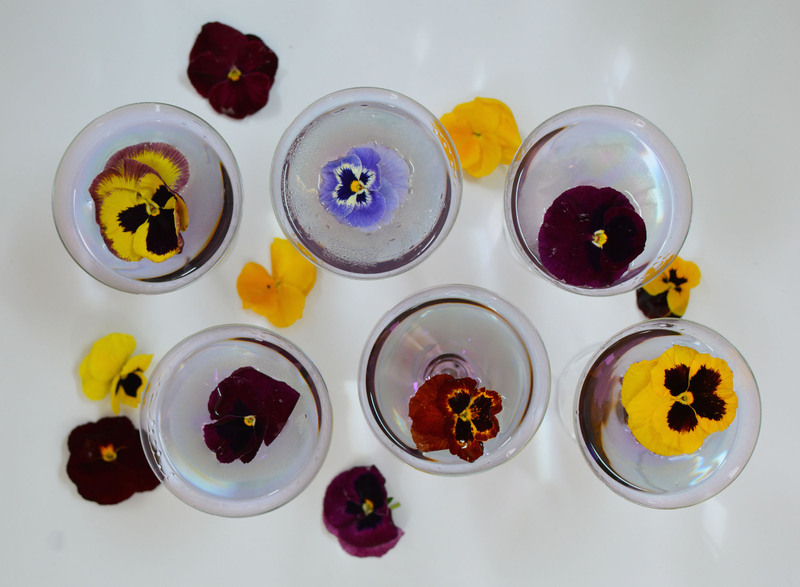 They were a perfect match as the glass is an iridescent pastel color which works perfectly with the lavender tones from the Crème de Violette liqueur. 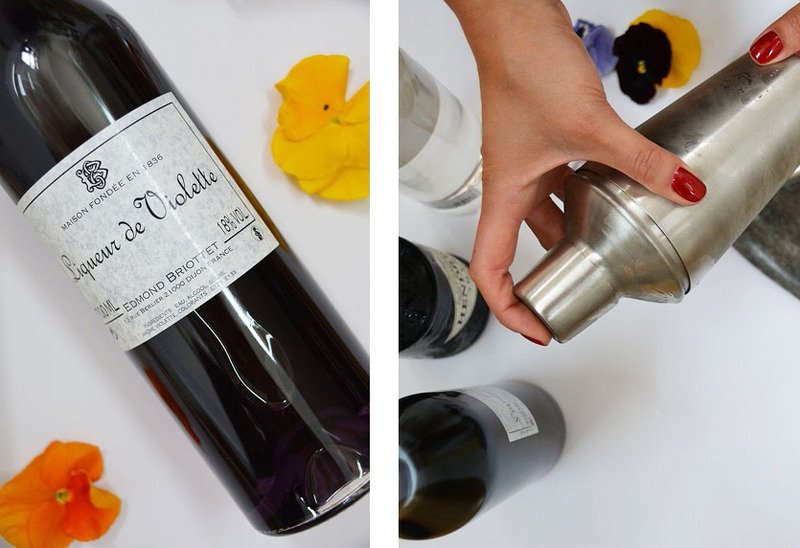 The most perfect Summer cocktail for your table. Get the recipe below! Crème de violette and Maraschino liqueur can be hard to find. I ordered mine from Amazon (was at my door next day). My cocktail glasses are from LSA and you can get them here.